I went to photobucket’s website, apparently they are now under new management now, (they tossed out the bozo that destroyed their company). It appears they will now have a web hosting plan for us little guys that costs like $19.95/yr, (which was the exact same price I told them in a survey). I have maybe 60 photos that I shared on the Hobie forum over the years, there was no chance I was about to pay $399/yr just to keep those pictures posted. I don’t have copies of those photos and wouldn’t be able transfer them to another hosting service. Besides most of the stuff is from 2007 to 2013 anyway, ( not relevant any longer), nobody cares. Since the fiasco with photobucket I moved to google photos, and have been using google photos since last summer, (still free). Yea it’s a little more work to use google photos on the forum, ( a few more key strokes). I’m torn whether I want too spend $20 bucks a yr staying with photobucket, ( I was fit to be tied, (extremely mad)) over what photo bucket did. Also their is so much advertising ( pop ups) on photobuckets website now I don’t even want to go to their website any longer. If the old 60 photos on the forum go away again, they will be gone forever, (which is sad). I have a TI and like the idea of hydrofoils to keep the bow from nose diving. Any suggestions on hydrofoils ready to buy in the market, and how did you install it? I have a TI which I sail in Galveston, TX which nose dives heavily. I say you have used hydrofoils to push bow higher. Any recommendations on where to get them and how to install them. Ideally would like to use the area where you put the MirageDrive pedals. Any comments of others that have tried similar idea would be welcome. Actually the foils in the pic on the first page of the thread were really simple to make. I just used regular cutting board material that I bought at Walmart, (it’s white plastic, like $4 bucks). The stuff cuts very easy, and can be cut with a hacksaw to the right shape. The slot that fits around the mirage fin I just cut the shape out with a dremel till it fit over the fin. The fins are Santoprene, (same material tennis shoes are made from), so most glues like goop or tennis shoe repair glue can be used to glue them in place. Basically when pedaling they don’t do anything at all, ( they don’t effect how the mirage drive works), however make sure they are small enough that you can still get the mirage drive into the slot, (oops, my first set was too big and I couldn’t get the mirage drives in or out, had to redo). This was all done like 8 yrs ago, I have no idea if the same design would work on the new mirage 180 drives. All of our boats we always had rigged with giant sail sets, (like 250 sq ft plus). And the boat was our only family boat so we typically had 3-4 adults on board, ( I got a big family). The mainsail on the TI is mounted way to forward on the hull, and there is very little flotation on the bow. Because I had so many sails, ( all on roto-furlers) with a lot of controls, (the boat was always quite a handful to sail, keeps you really busy). But you have to realize the keys are fricken huge and I flat refuse to sail at 3mph, (lol you can’t get anywhere). We only used the foils on downwind, and normally with the big 135sq ft spinnaker deployed, ( FYI Hobies spinnaker is 79 sqft). The bow also dived when using the main ( with a barbor hauler) and the jib, ( with one on each side, what they call wing on wing). What would occur is the downward force of the sails would push the bow completely underwater, and it would just stay underwater until we let up on the sails, ( something I would never do, I’m always ball to the wall max). We called it nautilus mode, sailing with the entire bow underwater doesn’t seem to slow the boat down much but boy do you get really wet, ( lol kind of like a submarine). The way they worked was if the bow dove, we would lock one pedal all the way forward with my foot. The fins go against the bottom of the hull and bends the rubber fins about ten degrees, (so they point down about ten degrees), which creates lift. That was usually enough to lift the bow back out of the water. I’m not talking about hydrofoils like on those crazy moth boats. I have no clue if these kind of foils would help on a stock TI, ( without big sailsets), I only sailed a stock TI twice back in 2010 with dismal results, ( never again, lol). A short time later we added a 2ft bowsprit to the boat, tilting all the foresails so they also created quite a bit of lift. After installing the bowsprit were no longer needed the foils. A little later on we designed and built real hydrofoils for the boat, yea everything worked, but boy oh boy it got really dangerous, ( I don’t recommend doin that). 99.9% of the owners out there just love the boat as it comes from the factory, your wasting your time tryin to change anything. Edit: keep in mind our needs were always different from anyone elses. We are mostly divers, snorkelers, free diving, and spear fishing is what we like to do, mostly offshore, so we needed an offshore capable hardened boat with a 100 mile per day range, very fast even in very light conditions, ( you can’t dive at all when it’s windy and wavy, ( no underwater visability)). So we rigged our boat specifically for that purpose, ( all custom), I don’t recommend anyone attempt the same unless you really know your stuff, just sayin offshore, especially down in the keys is really dangerous. I don't want to confuse anyone about mast toppers, and spinnakers here. All my stuff was done way back in 2010, long before Hobies mast topper and spinnaker were even a twinkle in any-ones eye. When I got my first TI back in april 2010, I was planning to use the boat for class C type offshore stuff, (mostly offshore diving), at the time (in March), their were heavy rumors that Hobie was planning a jib kit for the boat. I was initially planning to buy a new H16, (cash in hand), but the dealer had one of these in stock, and sold me on the brand new at the time TI, no regrets at all, we love the TI, but the stock boat took a little engineering to get the boat up to my specs, I'm an engineer, but only do the boat, and planes as hobbies. I was asked to explain a little more about the mast topper, (pretty much everything is on previous pages on this thread), here is a summary pic of my mast topper design, (totally different from Hobies), don't confuse the two, they work on different principles, that can't be mixed. For the dual halyard setup and operation you will need to search back thru the pages and look at some of the pics and videos. Keep in mind over many years, improvements were made. Thanks for your detailed response, much appreciated. It's simple (and cheap) enough to give it a try. At the level of the bottom of the hull (not too low) to reduce drag and create lift (not uncommon on boats). Can be a fairly small one. Lift can be easily compensated by moving backwards. I ran the numbers on a rudder mounted foil, say on a TI, (though the rudder system is not nearly strong enough), this is just for example.... The results should be very accurate. at 10 degree angle of attack. creates 18.95 lbs of lift to the stern of the boat. creates 120.57 lbs of lift to the stern of the boat. 2 foils one on each side of boat, mounted on stern. those 2 foils create 2770 lbs of lift to the stern of the boat. Basically I'm tellin ya... foils and really slow boats don't mix. All the formula's are readily available on the internet, ( a bit of longhand math is involved). Here are the formulas used. Near-PLANE (low deadrise), SEPARATE (or installed at bow; but not at stern since flow can be affected by bow foil), SHALLOWLY submerged (depth is less than span), NON-CAVITATING, STEADIALY moving foil in CALM seas. Hydrofoil is the profilled supporting surface on which lifting force appears at the movement of a ship. Lifting force is found by the expression (1), where 'rho' - liquid density, V - velocity, C - lifting force coefficient, S - hydrofoil area. Lifting force coefficient is determined by expression (2). The influence of free surface is taken into account by the function (4), c - the biggest thickness of the foil, h - depth of of foil immerssing. The changing of zero lifting force of the profile due to free surface is calculated by expression (5). The influence of foil shape on the angle of flow direction and induction resistance is approximated by expression (6). 'lambda' - aspect ratio, approximately equals to the span divided by the chord. Function 'dzetta' considers the influence of foil depth and reduced width on the direction of flow. This function may be calculated by expression (7) at condition (8). Expression (2) may be applied for plane foils. For foils having significant angle to the vertical, special diagram is used for calculation of additional decrement. Lifting force on foils with stabilisators crossing the water surface is calculated by taking horizontal projection instead of the foil square and the depth is exchanged by the average value. Lifting force of V-shaped foil is calculated by modified formulas for lifting force coefficient derivative and for changing of the angle of zero lifting force. There really is no need for foils on a boat that doesn’t exceed the hull speed under normal operation. Sq root 16=4 times 1.8 equals 8mph. The hull speed on the TI is 2.0 times sq root of waterline length 18.5ft. Sq root 18.5=4.3 times 2.0 equals 8.6mph. However those numbers are very soft numbers, for example a heavy boat sitting in the water has much greater wetted area than a very light boat, (less wetted area equals less drag). Another factor is hull shape, a canoe with a pointed front and back splits the water and glides thru the water much more efficiently than say a square back row boat. Just jump in a row boat, then in a canoe, the difference is dramatic. Just look at the swirling water behind the row boat. How clean is the hull surface, any interuptions in the surface, (like scupper holes, rudders, centerboards, skegs, and empty mirage drive pockets, all increase drag and turbulence). I think we can blame the internet for everyone thinking that calculating the hull speed of any boat being sqr(lwl)x 1.34. That formula doesn’t work on kayaks or cats, ( ie hobie cat sail boats). The multipler to use when calculating varies depending on the length/width calculation, and hull shape, and wetted surface area/weight. For example a floating brick might have a multiplier of .8 whereas a 21ft kayak may be as high as 2.5. Any hull, ( similar in shape to a kayak) if the length/ width ratio is greater than 8/1, you don’t have to worry too much about hull speed, anything over about 12/1 you can ignore hull speed mostly, and anything over 16/1 there is no hull speed limit at all. Of course there is still bow and stern waves, but the waves are so tiny they don’t effect anything. This is why cat’s, OC2 proas, surfski’s, etc) have no hull speed limit. Also that speed limit is not really a limit, it just means up to hull speed the power requirements are fairly linear, however once you exceed hull speed the power requirements go up exponentially. As an example it takes about 1hp to propel a TI to 6-7mph, but takes about 15 hp to propel a TI to 15mph, and over 20 hp to get to 20mph. Sail area and sail efficiency also has a say in boat speed. For example on a standard TI you can expect a sail efficiency of .6 time wind speed. And a long slender lightweight cat canhave a sail efficiency can be as high as 2.0, ( possibly higher in expert hands, (ie extreme racing boats, F18, etc). And rigid jointed wing foiling cats , some can exceed 2.5 to 3.0 windspeed. On a stock TI for example, applying all the above, you can sail around 9mph in 15mph winds with the sail trimmed correctly, and if you can keep the AMA’s out of the water. What does this tell us.... this tells us Hobies hull and sail designs are perfectly matched, and the overall design is very solid. thx a lot for the explanations., not easy stuff (for me). So I thought let see who does have experience with it. I dicovered that 30 minutes from my house the company that designs and buids the A-cass F1 foiling cat (very cool boat btw) has their office. 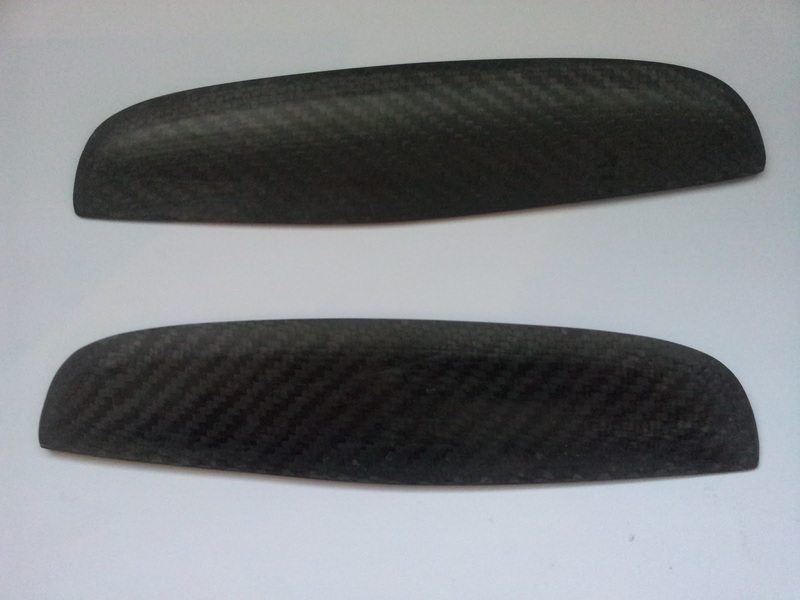 I gave them a call and he might have some older rudder-winglets (carbon) from the first generation foiling A-class. He knows the hobie island and expained it could be enough to get it plaining. If not and setup correctly it will increase the hull speed (less drag and the hull will behave like a longer hull on the water). If he has them i just will do some tests (they are very helpfull and can help me with the setup). So if I can get them I will just try and see what happens........ at least I will learn something and have some fun. I’m not saying you can’t foil a TI, we had hydrofoils on ours for a while, and they worked just fine. The boat was tuned to go up on the foils at 8mph. However you have to understand that before the boat gets up on the foils, and the hull gets out of the water, the foils ( even with zero angle of attack). Create much more drag on the boat that needs to be overcome. All of our TI’s never had any difficuly sailing 1=1 to the wind on downwind, (with the big spinnaker). We could do a little better than 1=1 with the wind 45 degrees off our stern. In other words it’s not worth dropping the foils into the water if the winds aren’t steady and below 15mph, (ie....trade winds). We designed our foils to be easily installed or removed while out on the water, (when not being used they just lay on the tramps). With the twin outboards we could foil both upwind and downwind, without the outboards, all foiling was downwind only, ( boring), and only with the spinnaker up. Is it all worthwhile, no, total waste of time and dang dangerous, we had several horrendous crashes and pitchpole incidents. My opinion is if you want to build a foiling boat, start with say an F18 cat with giant sails, widen it to 12-15 ft, replace daggerboards with curved foils, with T-foil rudders. Though replacing the hulls with lightweight CF hulls 21 to 24 ft long would likely do better, (build them yourself), Or just buy a foiling boat all ready to go. Or just buy an old tri-foiler. If I ever get my hands on a trifoiler, the first thing I would do is replace the sails with jointed wingsails. Basically add a rigid wing for the front section, the use the existing sail, or Square top boom-less sails) for the back section. You could also do the same with an old rave. Regarding angle of attack, if you examine the lift equations (I think in a previous post), the lift force is proportional to angle of attack (in a limited range) and speed squared. The lift force from underwater foils needs to support the weight of the boat plus some righting moment. The righting moment wont be constant but weight is so lets approximate that the lift force is somewhat constant regardless of boat speed. Because of the square term for speed in the equation, if we assume a constant lift force, the necessary angle of attack is reduced by the square of speed. Ie, if you double the speed, the angle of attack for the same lift force is one fourth. I dont have a link to this but the Trifoiler had a mechanical feedback control mechanism that had floats out in front of the foils on a lever arm that "sensed" the water surface and would adjust the underwater foil angle of attack. I am guessing as I sort of looked in the past and could not find anything but I think its likely that the big AC foiling boats also have some sort of automatic feedback mechanism for controlling the underwater foil angle of attack. You could imagine this involving electronics to measure hull inclination, height above the water, speed and a computer to control the underwater foil angle of attack using manually created hydraulic pressure. Complete speculation on my part.. maybe someone knows. I think in small foiling boats, the foil angle of attack is controller by the pilots weight. Anyhow.. I have to agree that adding foils to a TI gets way too far away from the intention of the boat. However.. a buddy of mine who lives in Lake Havasu (Gary Meyers) tried experimenting with an idea that I think possibly does have some merit and simple enough to not screw up any of the good things we bought these boats for in the first place. What he did was to put horizontal foils about the size of the rudder mounted to the underside of each ama. The foils pointed inwards toward the hull but still allowed for the ama to be collapsed with the foil in place. The intention is not to get the ama out of the water. I think the intention is more to use a high aspect foil to work along with the ama to create righting moment. I think it potentially could possibly reduce the overall drag of the ama in creating righting moment to counter sail side force.. but dont know for sure. The one time we did some sort of side by side comparison (the only way to tell if something like that makes any difference - anything else has a good chance of being BS), we each had some modification to improve down wind speed and I couldnt tell a significant difference in our downwind speeds. But it was not a perfect experiment since we should have had only the change under test different between the two boats. But.. I did think it may have made some difference and an interesting idea. Yes the trifoiler had the big floats, I started out with those but abandoned them because I wanted the foils to be small and easily installed/removed on the water, (clip on’s). I ended up with a spinoff of the Rave trailing tube design that I call trailing arrow, basically an arrow, where the quills control depth by changing the wingform, ( like ailerons or wing flaps), with the angle of attack on a different control system. I’m not promoting any thing here or any design, the things are really dangerous, one heck of a lot of engineering/design and construction time, and just not worth persuing on a TI. Cats with giant sails are a much better base platform to start from. But I love workin on that kind of stuff. Size is 22 cm long 5cm wide in the middle and 3 cm wide at the tip. Thickness is 5 mm. Generating 15-20 kg lift. So fairly small and thin rudder foil. Most newer foiling cat's (smaller ones) use J/Z foils on ama's.... these are "kind" of self leveling creating push and pull depending on the angle, rudders is a T-foil or one side tips (less drag from dagger board). But first I try this one: NOT intending to get it foiling, just more hull speed/planing. Want to mount it half way the rudder (i have a 2015 adventure.... believe larger rudder and no stow-away). Also need a "tuning" system, this way i can change the angle a bit (once I know it i can fix the angel). Or is this a "stupid" idea and should I try to mount it in front of the rudder as a fixed wing ? p.s. I tested with side stays to the AMA's (create a triangle with the jib and tighten it better)......but it looks like side stays kill performance due to the sail design......I first thought it would be better, but not so sure about that any more, looks like it needs some sort of flex (having it flex less would work better with more wind..... flex lines, stiffer flex mast ! ?